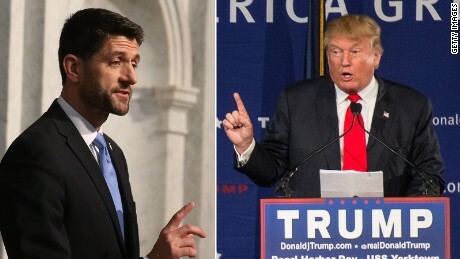 The showdown between GOP presumptive nominee Donald Trump and House Speaker Paul Ryan occurred this morning in a planned publicized sit-down that resulted in a “positive step toward unification,” but withholding to endorse. Trump fired back to Ryan’s comment in a statement, stating he isn’t “ready to support Speaker Ryan” either. The political standoff took a half step forward when both men agreed to meet at the RNC headquarters in Washington D.C. with RNC Chairman Reince Priebus. The sit-down between the Wisconsin lawmaker and possible Commander-in-Chief was described as “planting the seed” in unifying the party. When asked about an endorsement after the first meeting, Ryan gave a skewed answer, refraining to offer an endorsement, but repeated the theme of unifying the party. Republican National Committee Chairman Reince Priebus described the meeting on Twitter as “a very positive step” in uniting the GOP together. In regards to Ryan being the chairman of the Republican National Convention in July, the Speaker told reporters he will be taking on that role. On Monday, Ryan said he is willing to step down from his role as chairman of the GOP convention if Trump asked him to do. After the meeting, Trump headed to another meeting with Senate leaders at the National Republican Senatorial Committee’s headquarters, his second of third meeting the GOP presumptive nominee is scheduled to have on a busy Thursday morning.